This December we are turning five! During these past few years, we’ve hosted dozens of acclaimed exhibitions, produced thousands of frames and had a blast along the way. To say thank you to all our amazing followers, collectors and artists for supporting us through this time, we will be hosting a big old party to mark the occasion. We would love to invite you to our 5th Birthday on Thursday 6th December, from 6pm – 11pm. Please join us for copious amounts of bubbles, nibbles and a boogie as we have a DJ banging out the tunes to take us through the night. To mark this memorable occasion, we will be showcasing work from most of the artists we have exhibited over the years and also introducing new artists to the mix. We will have a huge selection of affordable, framed pieces available for under £300. If you see something you like, you can take it home there and then. Please do RSVP to info@wellhung.co.uk to let us know you’re coming. 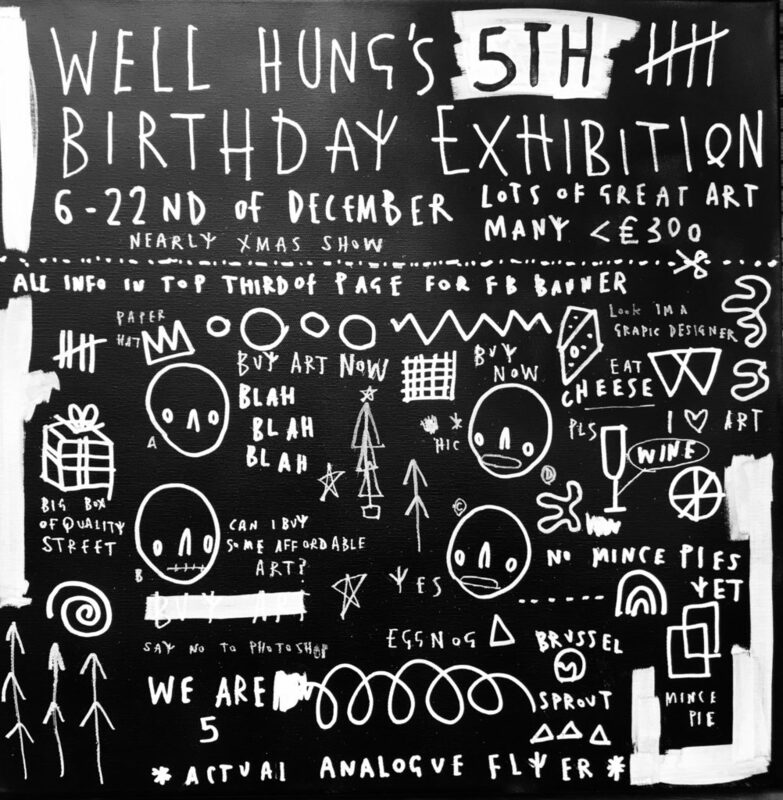 We look forward to seeing you then and raising a glass to an eventful five years at Well Hung.